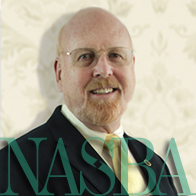 We continue our series on NASBA’s committees with a look at the Ethics and Strategic Issues Committee. Serving as the “conscience” committee of NASBA, the Ethics and Strategic Issues Committee’s charge is to promote the development and maintenance of high-quality standards of ethical practice to protect the public interest, and to consider significant forward-looking issues and their strategic relevance to both Boards of Accountancy and NASBA. Dr. Raymond Johnson, CPA, NASBA Director-at-Large and Ethics and Strategic Issues Committee Chair, said the Committee’s work is so important because ethics is the cornerstone of the accounting profession. One of the main points of focus for the Committee this year is to promote harmonization of ethics standards between Boards of Accountancy and the AICPA Code of Professional Conduct. Dr. Johnson spoke about this subject at NASBA’s 2013 Eastern Regional Meeting in Chicago, IL. The AICPA’s Professional Ethics Executive Committee (PEEC) restructured the Institute’s ethics standards to improve their Code of Professional Conduct so that members and others can apply the rules and reach correct conclusions more easily and intuitively. Another initiative of the Committee focuses on state-specific Continuing Professional Education (CPE) that emphasizes ethics. Dr. Johnson said a number of states believe that their required CPE on state rules and ethics is very effective in preventing rules violations. “If a number of states believe that their rules and ethics CPE is effective, it is important to understand the benefits of this CPE in being proactive about improving ethical behavior of licensees,” he said. Dr. Johnson added the Committee is also concerned about finding an efficient pathway to ethics CPE for licensees who must maintain multiple licenses in multiple states. To see a list of participating Committee members, please visit the Ethics and Strategic Issues Committee page in the Committees section of this website. Below is Dr. Johnson’s full presentation from the 2013 Eastern Regional Meeting. NASBA Experts Talk Ethics In "The CPA Journal"